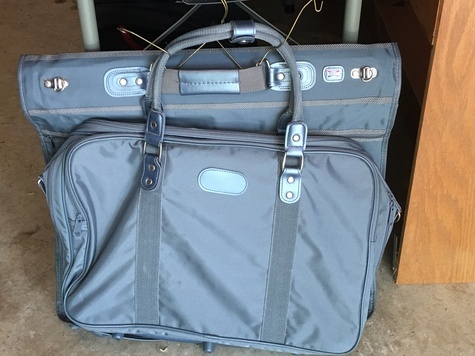 One piece is a fold-over garment bag, the other is a weekender sized bag. Both are a gorgeous silver color. Excellent, rarely used condition.